(Open Box) Rich in sound and easy to play. Typically, a 12-string is a second instrument. 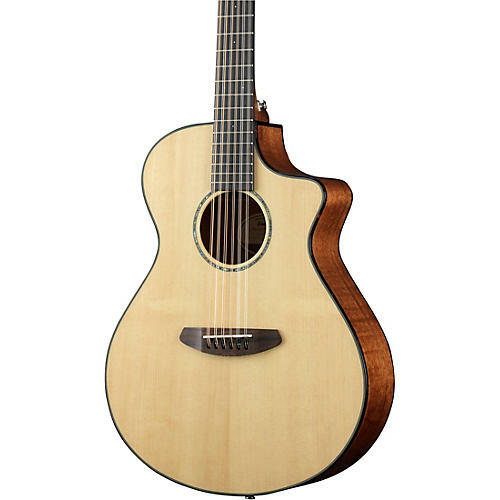 Breedlove's Pursuit Concert 12-String acoustic-electric guitar is the perfect choice. It is affordable, yet still rich in sound and easy to play. The has a 1-7/8" radiused neck. The asymmetrical headstock results in balanced string tension, and its pinless Delta bridge makes string changes far easier. The Breedlove Bridge Truss re-enforces the top making it unnecessary to lower the tuning to “D”. A gig bag is included.